Get Some Faerie Tail - Bombs Away Cabaret! Bombs Away Cabaret, along with psycho-cabaret band Hellblinki and juggling troupe Forty Fingers and a Missing Tooth, presented a fairytale-themed revue show. This production featured Lotta Hart, Ivana Stabovich, Claudette Clevage, Iona Traylor, Ophelia Bottome, Phil D. Honeypot, Rod O'Steele, and accomplished local actor Chris Brunton. Check out our videos and photo gallery below! 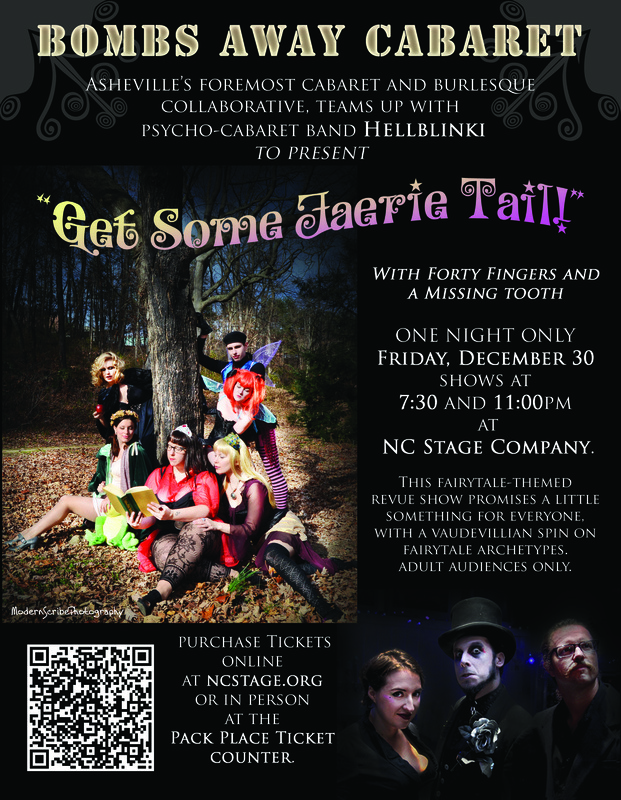 A fabulous faerie tail revue show, with live music by the awesome Asheville psychocabaret band Hellblinki!